Keep intruders at bay and watch over your property regardless of weather conditions with the USA-made-and-assembled Esprit Enhanced Series ES6230-05US 1080p Outdoor PTZ Network Box Camera from Pelco. Featuring a 1/2.8" CMOS sensor and a f/1.6-4.7mm 30x varifocal lens, this camera captures video at resolutions up to 1920 x 1080 at 60 fps in horizontal fields of view ranging from 63.7 to 2.3°. The camera delivers color images down to 0.008 lux at 250 ms, below which an integrated IR cut filter switches to B&W for ultra-low-light vision down to 0.001 lux. Moreover, the camera incorporates a high-speed pan/tilt system, allowing for 360° continuous panning and -90 to 40° tilting at up to 140° per second. The ES6230-05US has an SD slot for edge storage and an audio input for connecting a separately available external microphone. 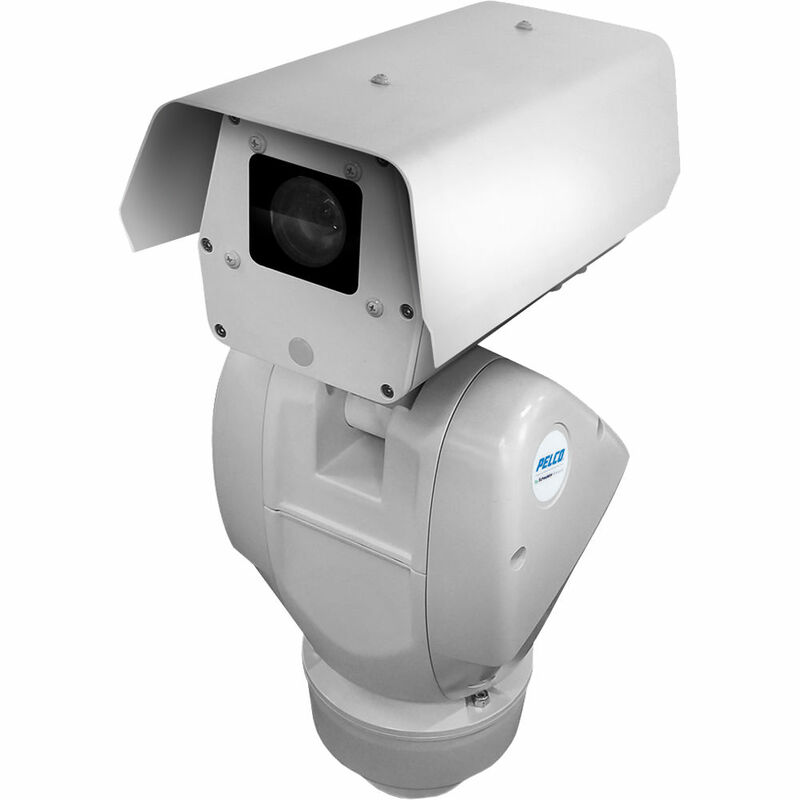 H.264 and MJPEG configurable streams allow you to optimize storage and bandwidth use, while ONVIF compliance ensures compatibility with a wide range of surveillance equipment.